From the sunny beaches of the Costa Brava to the snowy peaks of the Pyrenees Mountains, Catalonia is a great year-round destination. It’s also home to the bustling city of Barcelona, with vibrant nightlife, tasty food, and impressive architecture. A visit to Barcelona would be incomplete without seeing the work of Antoni Gaudi. Start your day at the Sagrada Familia, which, when finished, will be the tallest church in the world. Then, check out the Gaudi-designed apartment blocks, such as the Casa Battlo and Casa Mila, before heading over the famous Park Guell. 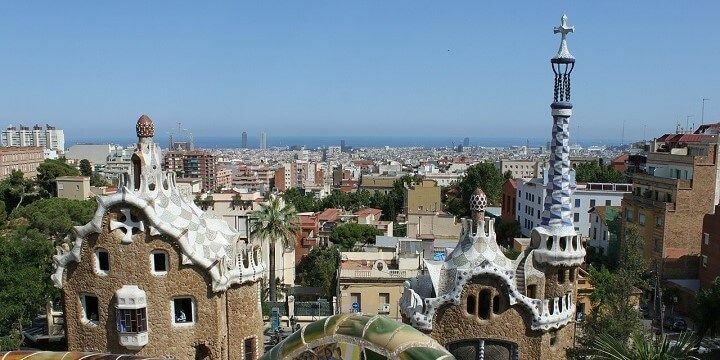 Park Guell is a must-see in Barcelona. 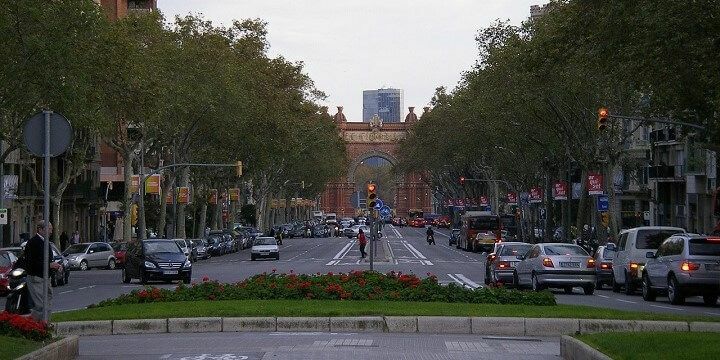 After exploring these famous cultural sights, relax on one of Barcelona’s various beaches, such as Sant Sebastia, or indulge in some retail therapy at the large Platja de Llevant mall. If you’re looking for nightlife, stroll down the famous Las Ramblas promenade for bustling cocktail bars. Las Ramblas is famous for its nightlife scene. Alternatively, check out the quirkier neighborhoods of Gracia, Raval, or Barrio Gotico for more unique venues. If Barcelona’s landmarks have left you exhausted, why not relax on one of Costa Brava’s beautiful beaches? Dotted along the Cami de Ronda, the trail that runs along the coast, are several small fishing villages with tranquil beaches. 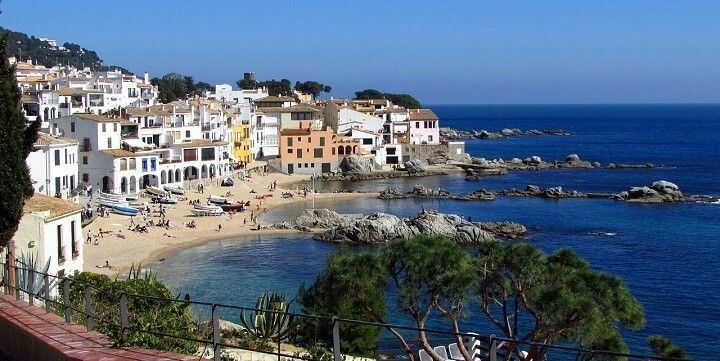 Sant Pol de Mar, for example, is a great swimming spot, with plenty of tasty seafood. The Costa Brava features many stunning beaches. Don’t miss out on the Cap de Creus Natural Park, where you’ll find jagged rocks shaped the wind and sea. You can climb the Cap de Creus Lighthouse for unbeatable views over Catalonia, or head to the nearby coastal village of Cadaques for art galleries and traditional white Mediterranean houses. 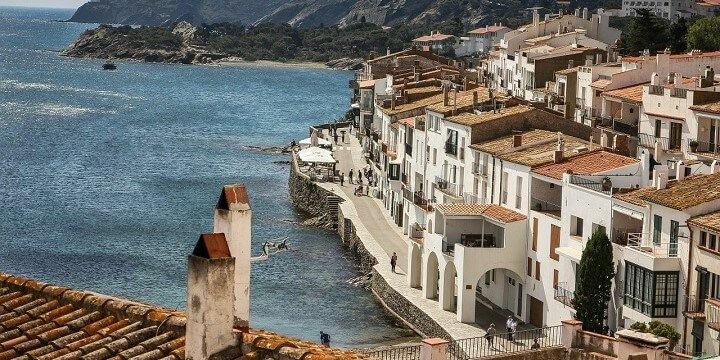 The coastal village of Cadaques is known for its traditional white Mediterranean houses. While in Cadaques, be sure to try fideaua, a Catalan-style paella, made from noodles instead of rice. One of the best historic towns in Catalonia is Girona. Here, you can walk over the Eiffel Bridge, designed by Gustave Eiffel, or spot the intricate Cathedral of Saint Mary of Girona, which featured in the Game of Thrones. 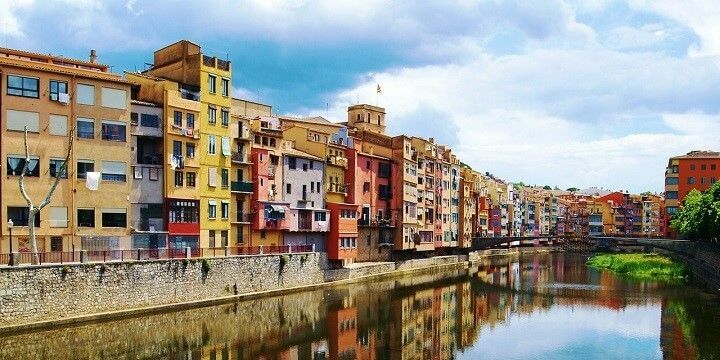 Girona is one of the best historic towns in Catalonia. The medieval town of Besalu, meanwhile, is worth a visit for its quaint, winding streets, and its relaxing Mikveh (Jewish baths). If you’re after traditional Catalan food, head to Pals, where the popular Gothic Quarter boasts lots of great restaurants, alongside craft shops, and old stone houses. While in Catalonia, don’t miss out the Aiguestortes y Sant Maurici. Within the park’s borders, you’ll find peaks of up to 3,000 meters, gorgeous views of the Lake of Sant Maurici, birds such as eagles, owls, and hawks, as well as plenty of hiking and biking trails. The Ebro Delta Nature Park is best-explored by canoe. 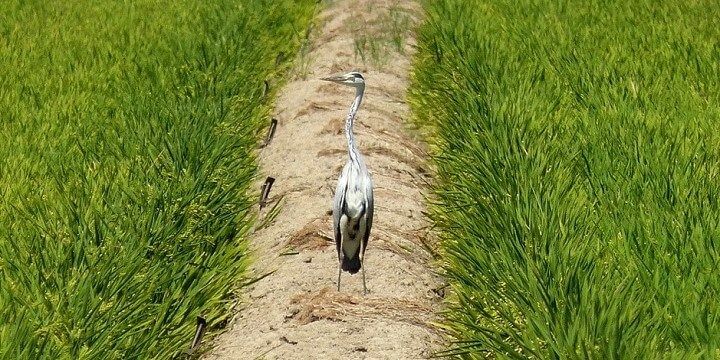 If you prefer to get around by boat, head to the Ebro Delta Nature Park, located at the mouth of the Ebro River. At barely one meter above sea level, this park mainly consists of marshes, canals, and lagoons, making it best-explored by canoe. 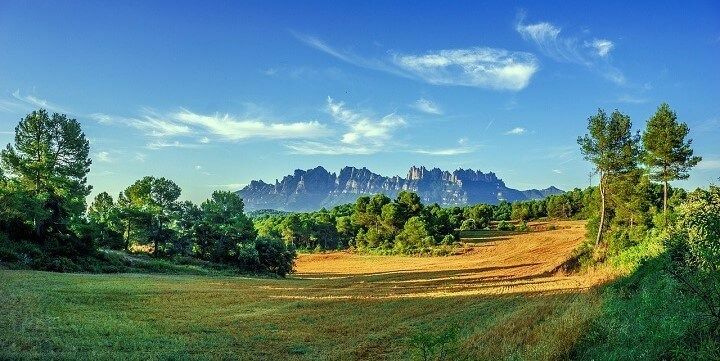 Catalonia's Montserrat Mountain National Park is great for hiking. Avid hikers should visit the Montserrat Mountain National Park, where the 1,236-meter-high peak offers impressive views of Catalonia. Alternatively, check out the Pedraforca Massif, where you’ll find the unique, U-shaped Pedraforca mountain, with two peaks at approximately 2,500 meters high. The best-known wine tasting region in Catalonia is Penedes. Located between mountains and the sea, the vineyards offer breath-taking views alongside beautiful wines, including the classic Spanish cava. 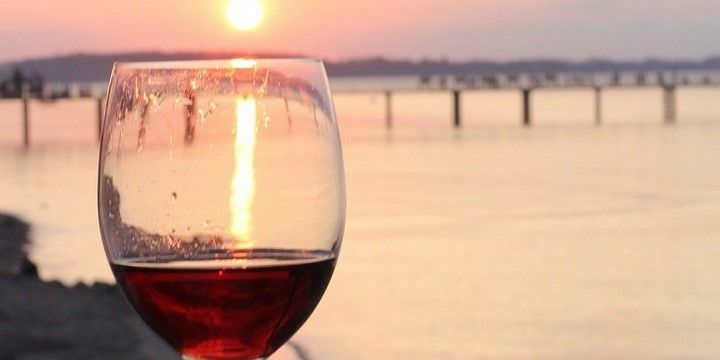 Red wine fans should head to the Emporda Wine Route, located along the Costa Brava, while white wine lovers should check out the Conca de Barbera. Be sure to try some of Catalonia's wines. Some of the best-quality wine, however, can be found in Priorat, one of the few Spanish regions to have received the DOC recognition, making outstanding taste and consistency. The Catalan Pyrenees offer great winter sports opportunities. La Molina, for example, was the first resort to open in the Pyrenees, and is now home to 60 kilometers of pistes, and lifts which can transport 16,000 people per hour. It also hosted the 2011 World Snowboarding Championships, making it great for skiers who want to try their hand at something new! The Baqueria-Beret, meanwhile, is the largest resort in Spain, offering 86 kilometers of piste, 26 lifts, seven kilometers of cross-country trails, and altitudes of around 2,500 meters. How to spend 48 hours in Barcelona: Things to do, see, and eat! Take a few days to explore Barcelona before relaxing at the beaches of the Costa Brava.